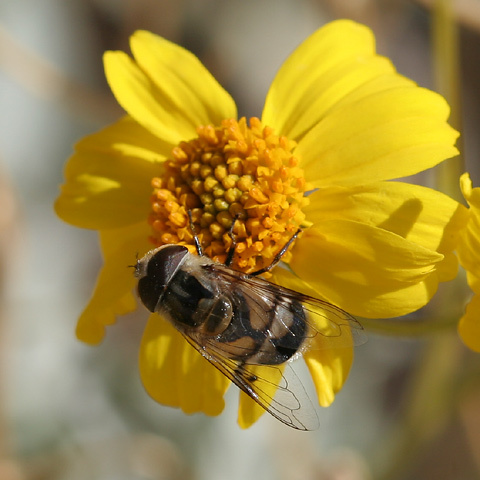 Eristalis Flies or Drone Flies (Eristalis species) are common visitors to yellow flowers like these Goldenhills or Brittlebush (Encelia farinosa). 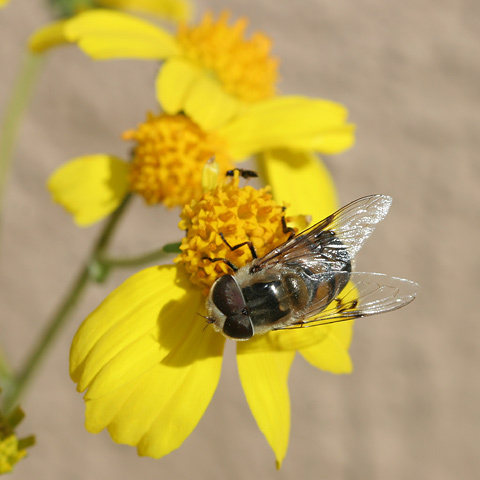 Eristalis Flies are in the Flower Fly Family (Syrphidae), and they are usually seen on flowers. These large, plump, big-eyed flies look somewhat Honeybee-like, but they are harmless and do not sting. The aquatic larvae of Eristalis Flies are known as Rat-tailed Maggots because with their plump, elongated bodies with a long, tail-like breathing tube or snorkel at one end, they look weirdly rat-like in shape. Rat-tailed Maggots live and feed in semi-liquid organic waste like wet carrion, stagnant pond water, and sewage. 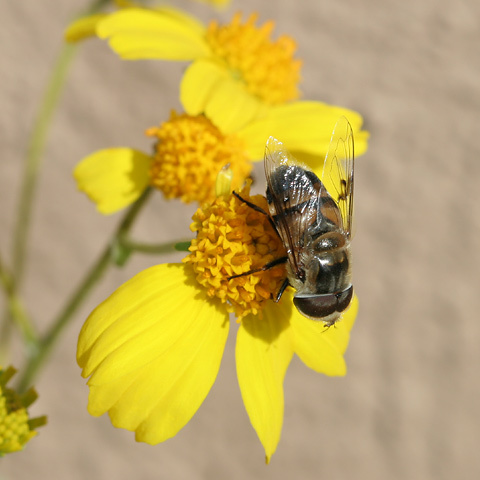 Even though the adults are harmless and beneficial pollinators, accidental ingestion of Eristalis eggs or first instar larvae in water polluted by organic runoff can cause intestinal myiasis (an infestation of fly larvae in the intestines) in humans. 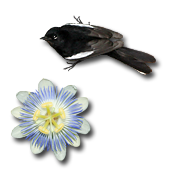 This condition can cause various symptoms of intestinal distress and can be benign to serious, depending on the number of larvae and their location in the digestive tract. Intestinal myiasis mainly occurs in regions without proper sanitation, and is rare here in the US. I have never seen Rat-tailed Maggots anywhere in Tucson, but they must be here somewhere in large numbers because the adult Eristalis Flies are quite common here.